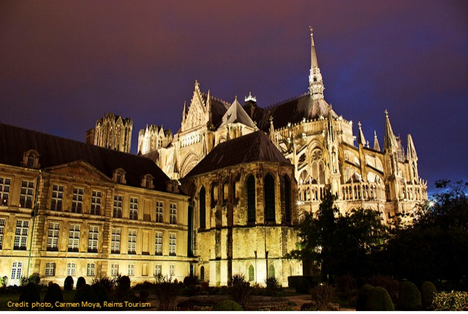 The next PAMIR conference will be organised by SIMaP (University of Grenoble) and LISM (University of Reims Champagne-Ardenne), Reims, France, from July 1st to July 5th, 2019. The conference will take place at the Congress Center of Reims, in the heart of Reims, a city of art and history, which opens up to you with its three UNESCO World Heritage sites (Cathedral Notre-Dame / Tau Palace / Basilica Saint-Rémi), located in Champagne area, also recognised by UNESCO in 2015 for Outstanding Universal Value “Champagne Hillsides, Houses and Cellars”. The main topics will be Basic MHD, Thermoacoustic, Space technologies, Liquid metal technologies for coolant applications, Applied MHD for material applications, Ferrofluids and MHD energy conversion. In parallel with the conference, a summer school will be held with the topics focused on Magnetosciences.